Women on a Mission: Mom Edition: DOUBLE-HEADER FRIDAY: FOLLOWER COUPON SUCCESS! 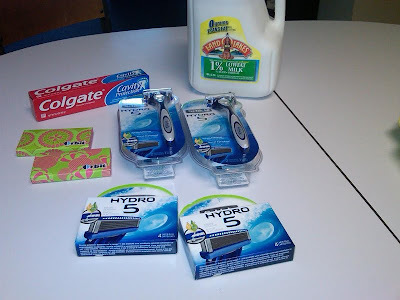 One of my fabulous and THRIFTY co-workers Monica recently got into couponing and she is completely ROCKIN’ IT! ADORABLE AND SO PROUD OF HER NEW COUPON ORGANIZER! Since this photo was taken--Monica did a major organizer upgrade! Gallon Milk: The milk was actually much cheaper here than at my usual grocery store, plus I was able to apply $5 CVS Extra Bucks coupon I had from my last shopping trip there. 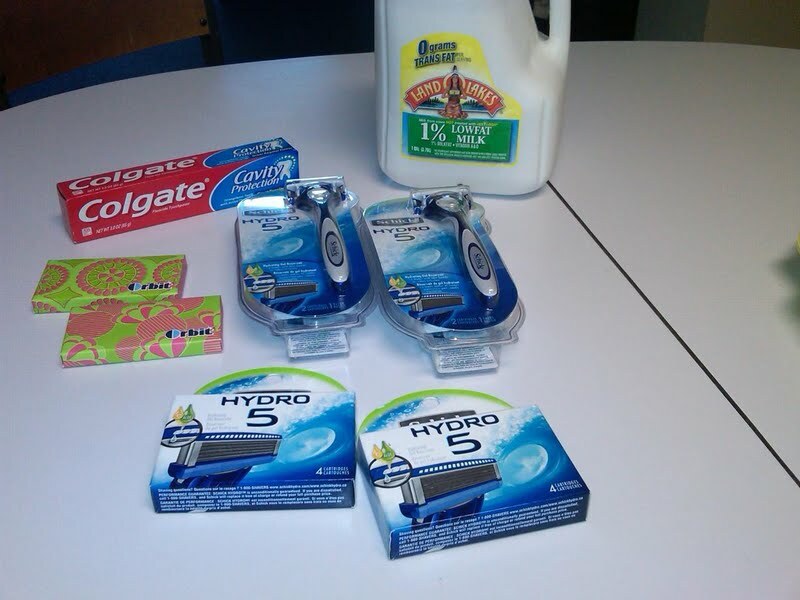 Two Schick Hydro 5 Razors and two refills: I had no idea when we got to the store that they would be having a BOGO sale on both the razors AND the refills but we ended up getting two of each for the price of one and then they were all free after I used both coupons ($11.99/1). 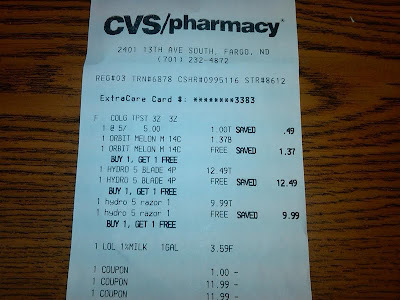 Two packs Orbit gum: At the register, CVS pharmacy ended up owing me money once I used all my coupons (LOL) so I had to throw in some cheap gum to make it even (well, I’m still making out like a bandit here, but whatever…). So I grabbed the Orbit which was also BOGO and the leftover money from my Extra Bucks coupon rolled over to cover most of the difference! 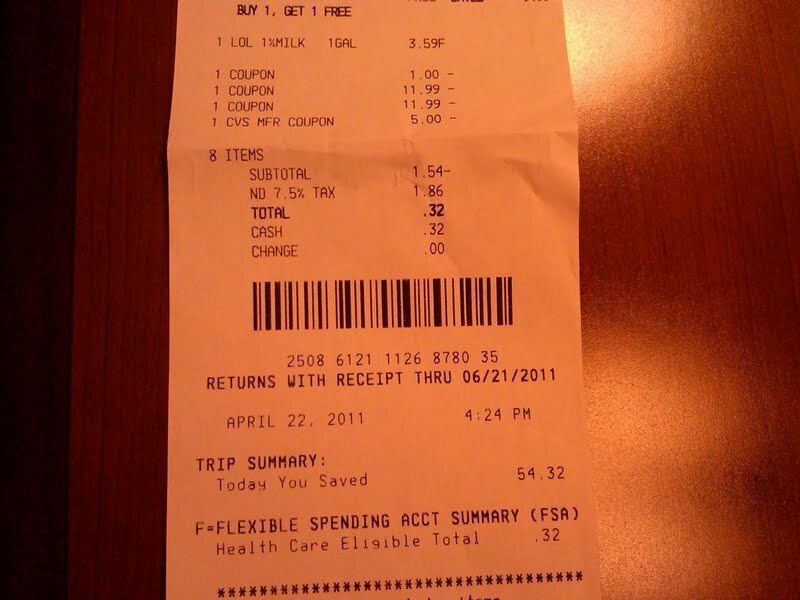 FINAL BILL: ONLY 32 CENTS! 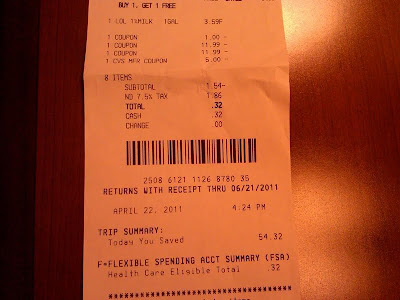 So this was by far the best couponing trip I’ve ever done. I only recently started couponing after attending Lori’s Couponing 101 class and following the WOM-MOM blog, but I have to say that it’s worth the work you put into it—plus, it’s fun! After the CVS trip my mom and I went to Target to find more great deals and we were on such a Cloud 9! My mom actually went up to a total stranger and told her, “My daughter just bought fifty four dollars worth of stuff at CVS pharmacy and only paid thirty two cents after coupons, can you believe that? !” and the lady just looked us like we were crazy and said, “No, I cannot,” totally stone-faced. So, maybe she wasn’t impressed, but she was just about to waste $5 on shampoo that I got for free using coupons…so who’s really winning here, Ha-ha! Thanks, WOM-MOM for the inspiration! No: THANK YOU Monica for your inspiration! It’s fabulous! Monica - I about choked when Lori told me about your savings. 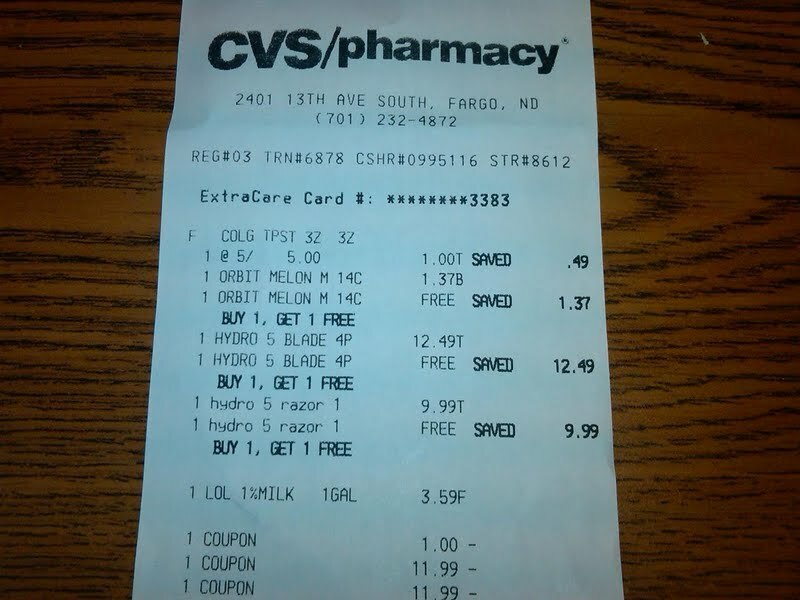 In all of my couponing efforts, I have yet to have such mega success. I'll do a post about my savings soon - but you set the bar!! Tell your mom that if she had come up to me at Target, I would've done a cheer for you (Lori and I were HS cheerleaders, remember).